Another book on the seasons? Or a season? Aren't there a lot of those? Indeed there are. 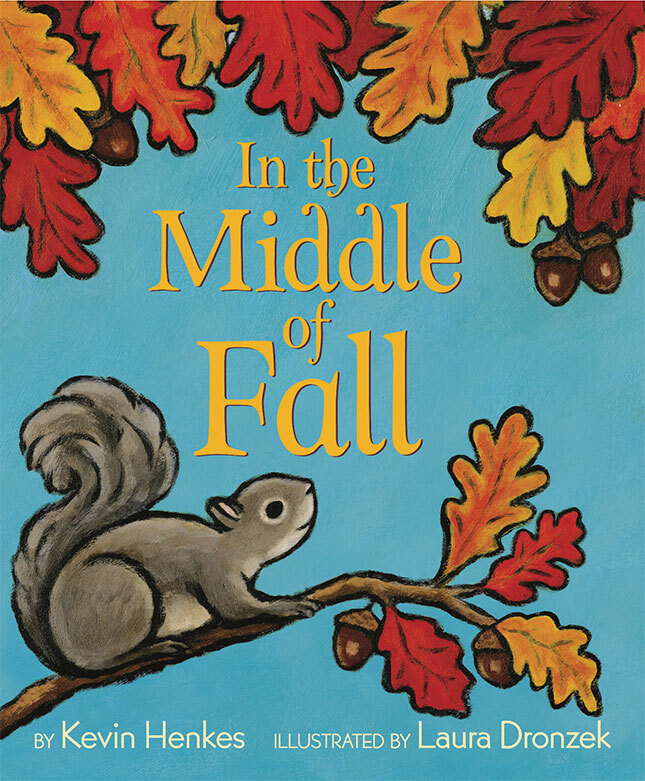 But In the Middle of Fall by Kevin Henkes with illustrations by Laura Dronzek is an example of why more keep being published. First off, I wish I knew more about art so I could explain why I find these simple, intensely colored illustrations so striking. Originally I was planning to say that this book is all about the art. 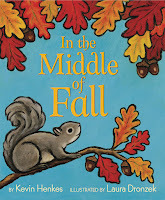 In the Middle of Fall is two sentences long. Those two sentences are filled with beautiful clauses, each one illustrated with an also beautiful a two-page spread. "...and the apples are like ornaments," is my favorite. But that's not what makes this book so terrific. Pretty words, pretty pictures. That's not enough. No, what makes this book terrific is the second sentence, the one that foretells what's coming up at the end of the season. Seriously, I dreamed about this book. I can't remember it now, but I definitely dreamed about it.